MLB reports – Jonathan Hacohen: The numbers are outstanding. Six Most Valuable Player awards. An All-Star seven times. Over 2000 hits. Over 1000 RBIs. 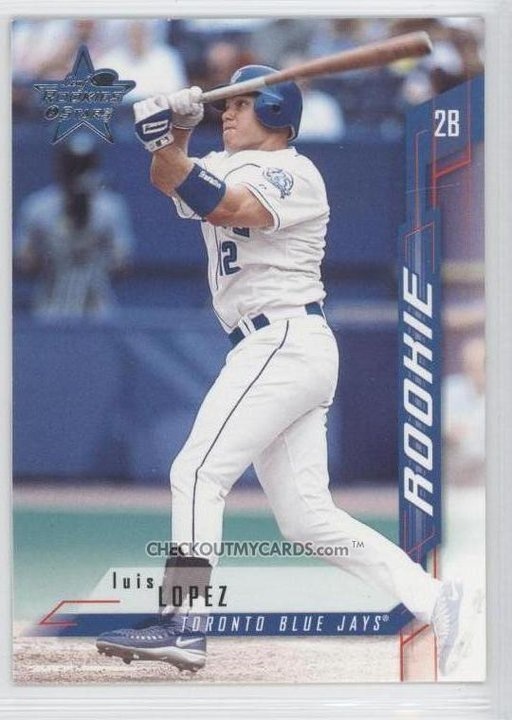 A minor league hall of famer for sure, Luis Lopez has been playing this game his whole life. He has done it and seen it all. He played in the majors with both the Toronto Blue Jays and Montreal Expos. Played in the minors for four different MLB organizations. Luis has played in both Japan and Mexico. Indy ball. His baseball resume is quite extensive, as are his passport stamps. But at the age of 38, Luis is far from done. He still plays third and first, searching for his chance to make it back to the show. He has strong inspirations to keep him going. Julio Franco played in the major leagues until the age of 49! Even Jerome Williams, at the tender age of 30 provides hope. Away from the big leagues for four seasons, he rose up from Indy ball and back to the Bigs. Luis knows this and keeps the hope deep in his heart as he continues his baseball grind. 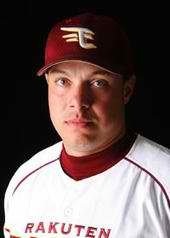 One of the greatest baseball stories I have heard, Luis Lopez is a true blue-collar baseball player. He is everything that the game is about and a true credit to the sport. Going into his 18th professional season, Luis Lopez is still laughing and having a great time. He just plain loves baseball and will continue to do so for as long as he can. 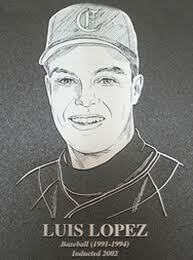 MLB reports: First question: On my count, there are three professional ballplayers named Luis Lopez. Why the popularity of the name? How often do you get mistaken for one of the other ones? MLB reports: Born in Brooklyn, New York. A baseball hot bed! What is your family’s origins? Do you have roots in New York? Luis Lopez: My family is from Puerto Rico. My dad from Dorado and my mom from Ponce. I considered myself from PR as well even though I wasn’t born there. I was born in NYC. I’m glad I was because it gave me the drive and desire to think that I will make it! MLB reports: You originally signed with the Jays in 1996 and made your professional debut in 2001. Tell us about your first major league game. Luis Lopez: (laughter fills the room) Funny you ask. My first at-bat was against the Angels in Toronto. Bengie Molina was catching and I knew him from all my years playing winter ball in PR. He was talking to the pitcher Holtz and then walked back to the plate. He says in Spanish congrats Luis. I said “thanks brother, my heart about to come through my shirt.” (Grin) Delgado and a bunch of the guys had their hands in their shirts showing me how my heart was pounding! Then Bengie says “relax, we’re gonna put you on so you will hit tomorrow.” I said “what?” All of a sudden I was being intentionally walked! All I could think then was that I would be one an answer to a trivia question! (laughs hard) Not too many people on their first at-bat are walked intentionally! MLB reports: We last saw you playing in the big leagues for the Expos in 2004- the last year of the franchise. Ironic? If the Expos come back, will you come back with them? Luis Lopez: Would love to! MLB reports: You have played in the Jays, Expos, A’s and Braves systems. Tell us about the best minor league teams that you played for in your professional career. Luis Lopez: That’s tough because I learned how to play ball the right way in the Blue Jays system! They broke down everything for me. With the A’s, we won championships. Atlanta is a big league organization. They treated me like I was with them forever. 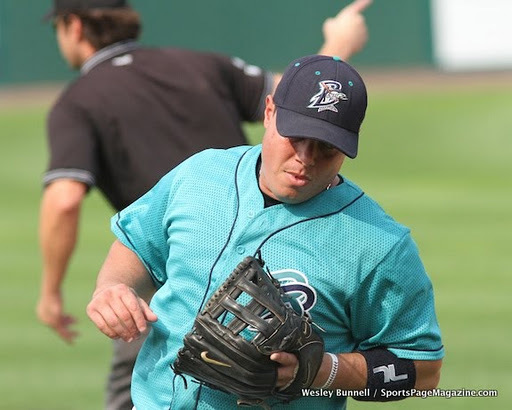 MLB reports: In recent years I have you played in the Mexican league, Japan and Indy ball. You are a baseball nomad!!! What was the process like going to Mexico and Japan? What were each of those experiences like? Luis Lopez: After being around so long, my name is around. A lot of the time it is reports or videos that are seen and then reps get in touch with you. A phone call or e-mail usually. Baseball is baseball. You just have to get used to living in another country that’s all. That’s the biggest problem for some guys; but I can live anywhere. Luis Lopez: To stay healthy and win a championship! I’ve accomplished a lot of personal goals throughout my career. I just want to produce and help my team win! MLB reports: At 38-years of age, you have seen it all and done it all. Why do you keep going- what motivates you? Luis Lopez: I love the competition! I feel like I still can play in the big leagues and help a team win- even one with only a little chance. I want all of my family to see me play again in a big league stadium. Especially my mom! Every time she came to see me play, I would get sent down that day. It was crazy! MLB reports: You and I talked a lot about Julio Franco. How much of an inspiration is he to you? Do you plan to play until you are 50? Luis Lopez: He inspires me a lot! Julio made it back at an age MUCH older than me because someone gave him a chance again. That’s all I want- a chance! If I couldn’t do it anymore, I would walk away; but I know I still have it. The mindset! (laughs) 50? Wow! Nah I don’t see that. Only God knows! MLB reports: Favorite position to play: 1B, 3B or any others? MLB reports: Every baseball player works towards making the big leagues. You have been there and want to get back: What do you need to do to make that dream happen? Luis Lopez: To be honest… I don’t know! I think I have done enough to have ten years in! But I will always stay positive and keep playing hard. You never know who is watching! 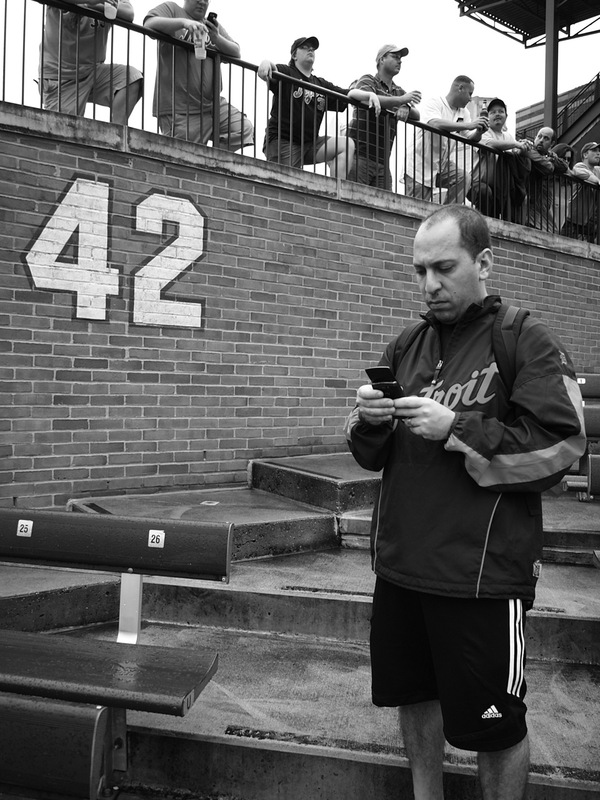 MLB reports: If you weren’t playing baseball today- what would you be doing? Luis Lopez: I would be managing, coaching or in the front office. Something with baseball. Many of my friends and family members feel I will make it back as a manager- because they feel I have the makeup for that. I can see it! MLB reports: Looking back at your career to-date, would you have done anything different? Luis Lopez: (Big Smile) Wow! To be honest… I probably wouldn’t have gone to Japan. It was a great experience; but I think as a position player I went out there too young. When you try to come back, it’s harder that you think. Also Atlanta let Julio Franco sign with the Mets on a 2-year deal because they wanted me to be the righty off the bench. MLB reports: When you think of your expectations going into professional baseball, what are some of the biggest surprises you have encountered? Luis Lopez: It had to be when I signed and how far I got to play. I signed for two gloves and a pair of spikes as my bonus; but I made it! MLB reports: Choice of cleats, bat and glove- what brands do you use? 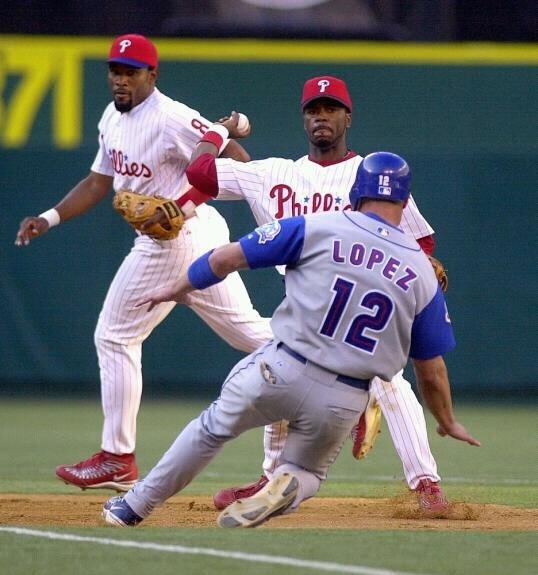 Luis Lopez: Nike cleats. I use my boy ex-player Pete Tucci’s bat company. Tucci Lumber and he’s MLB approved! (Big laugh) My glove is Nike also. MLB reports: Which past or present MLB players would you most compare yourself to? MLB reports: If the major leagues are not an option, do you plan to stay in Indy ball? Will you try to make the minors for a MLB team or go to another country like Japan again? MLB reports: Proudest baseball accomplishment? Luis Lopez: There are many! I think and say thank you God for letting me be successful! HOF at Coastal Carolina University. 6 MVP’s. 7 time all-star. Over 2000 hits. Over 1000 RBI’s. All in the minors- but i feel anywhere is good! Plus I am going into my 18th year professionally. MLB reports: You really are the real life Crash Davis. Tell us about the comparison. Luis Lopez: Hahaha. I’ve seen a lot of places. Many great ballplayers. I try to help everyone just like Crash did in the movies because guys need to realize that Indy ball is another path back- it’s not the end. You put in the work and you will be fine. Look at Jerome Williams! He was in Lancaster last season. Then he got picked up and was on TV again last year. This year he is slated to be the number five starter for the Angels! Way to go Jerome! MLB reports: You must have made many friends for life in this game. Luis Lopez: Don’t ever let anyone say you can’t do something, because I’m living proof of what you can accomplish if you believe in yourself! Surround yourself around POSITIVE people especially in this sport… because it is a game of failure. Lastly: play hard or go home! 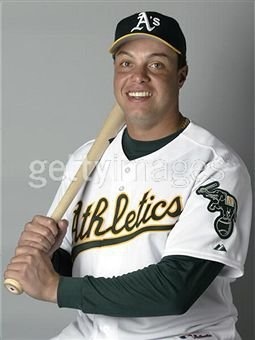 Posted on January 14, 2012, in Interviews with MLB Stars and tagged angels, Atlanta Braves, atlantic league, baseball, bengie molina, bridgeport, carlos delgaldo, edgar martinez, japan baseball, jays, jerome wiliams, julio franco, kevin millar, luis lopez, mexican league, mlb, oakland athletics, toronto blue jays. Bookmark the permalink. Leave a comment.